Escape Room Tips - Easy Ways To Beat The Escape Games! 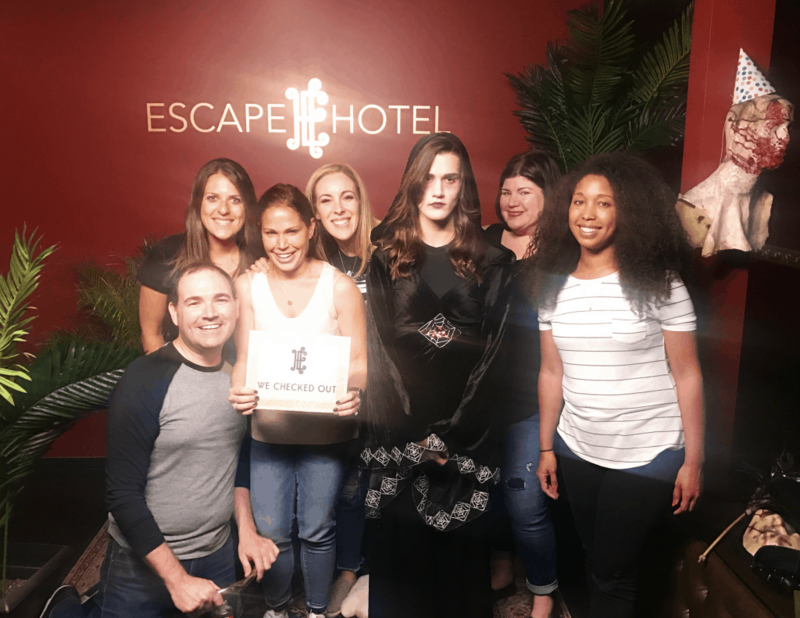 Lady and the Blog → Living → Escape Room Tips – Easy Ways To Beat The Escape Games! So, in case you’ve never done an Escape Room before and you are a bit nervous about your first time, I want to give you a few tips. I’m not an EXPERT. I’m not sure you can actually become an Escape Games expert?? But I do sort of GET what they are doing with the setup. I understand the logic and I want to share some Escape Room Strategies with you by providing a few examples of the kind of puzzles you can expect should you ever dive in and grab yourself a ticket to ride. 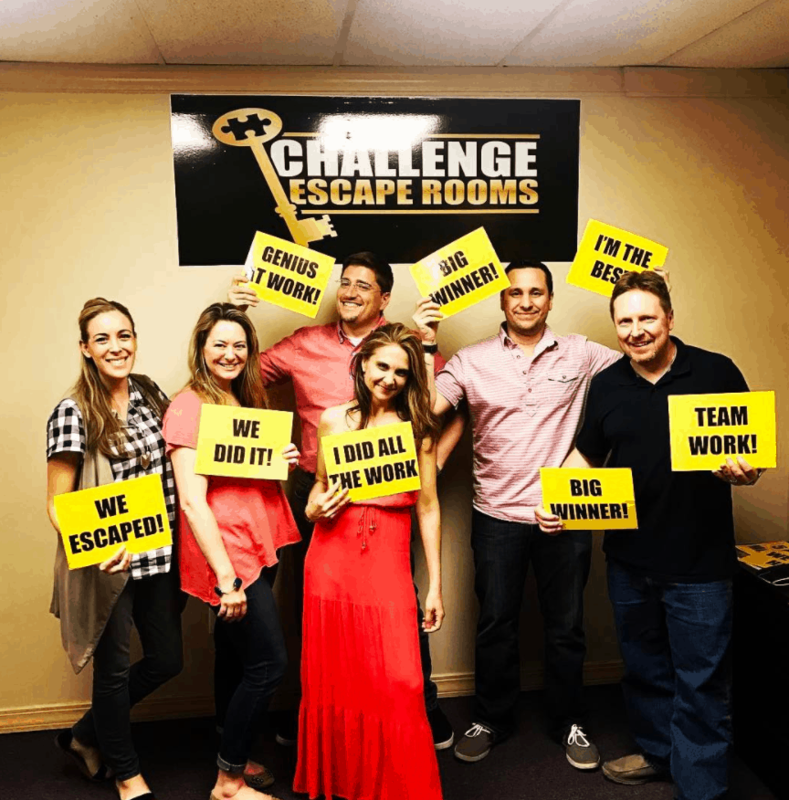 Escape Room Tips: Easy Ways To Beat The Escape Games! This is an easy question to answer. Every room has to be unveiled in the same order to get to the end. One lock unlocks a code that will reveal the answer to the next lock. You can ask how many codes need to be broken before you enter a room. They usually tell you. Whether it’s 6 or 8 or 12 doesn’t really matter though. It’s all about the level of difficulty! Don’t get excited if you hear you only have 4 locks to unlock because that probably means they are SUPER HARD to figure out!! When you enter the room, you will see the very first clue that you need to decipher. Your team must break that code before trying to get through the rest of the Escape Room. The first clue is usually pretty hard to figure out. At least, that’s been in my experience. I think it’s also because you are just getting warmed up and into mode of the Escape Game. You aren’t fully INTO it YET the second you walk in. Once that first lock is open though, your mind explodes and something else takes over. What If We Are Stuck? There are different rules for different Escape Rooms. Some places won’t give you any Escape Room tips until 20 minutes have passed which I HATE because you feel so STRESSED OUT if you can’t crack that first clue. You only have an hour to do the room. Period! Other Escape Rooms only allow you three clues – and you just have to use them wisely. And then… I’ve been to some that give you as many as you need. So, they all vary. It doesn’t matter. Don’t worry about this part. What matters the most is who you go with. Do not force people to go with you. That should be your top Escape Room strategy. It’s better to pick an OK friend who wants to win than pick a best friend who hates this sort of game. You want people who love Escape Games and logic. You can’t bring anything in an Escape Room. They don’t want you to take pictures of any of the clues. So, don’t get excited thinking you’ll sneak in any selfies. They might even have a video feed going – so be careful. Your bags will be stored away in a locker. To be safe, I always just bring my phone and leave my bag at home when I do any Escape Games. I have trust issues. I don’t trust a damn person on this planet. I’m not giving anyone my bag. Yeah… it’s like that. Ok, here we go – some master level Escape Room strategy coming your way!!! Everything is a tip. Literally. Even the name of the room can be a tip for you to use at some point. For example, when I unlocked a box, I found a bag of Scrabble pieces during one of my Escape Games and we were so STUCK on this and then I thought about it and spelled the word PLAY because that was the name of the room. Each Scrabble piece letter has a number associated with it because you get points when you put letters down on the board, right? Well, those numbers were used to unlock a lock in the room. It worked! Everything is part of the game. Everything! There will be sayings on the wall – and you have to look at the colors of the letters and the way that those sayings are displayed. You will never have to climb anything or take anything off the walls. Every Escape Room will tell you this, but it’s good to know anyway. You will have to look under things – vases, plants, tablecloths and actual tables. You will have to lift things like tablecloths. There will be puzzles to put together and logic puzzles that involve numbers and letters. I am the WORST at these and never ever participate in them. I actually can’t even really describe them well. A=1, B=4 etc. And then they give you a math puzzle and you have to figure out the word which then turns into a number. I’m always like, “WHAT??? Someone else GET OVER HERE.” That is not for me!! You will have to find sticks to place into holes. You will have to open up locks to find keys to find more locks to unlock. And literally… just when you think you are done and you open the door to escape… you will find yourself in a second room!!!!!!!!!!!!!!!!!!!!!!! This has happened to me 3 different times and I am always shocked! Not all Escape Rooms are just one room. They can be two or three rooms. Those are always more fun if I am being honest with you. I Can’t Be Locked Inside A Room! Escape Games don’t want to institutionalize you! It’s all not real. The doors are not locked. You actually aren’t LOCKED in the Escape Rooms. It’s all a joke. The door is open. The rule is that if anyone opens the door then your team forfeits the game. So, if someone freaks out for whatever reason, you just have to call out and have someone get them. You can’t have them walk out on their own or the game is over. You are NEVER LOCKED in an Escape Room – EVER. The final key in never to open a door. It’s always to open a safe or something. Don’t freak about this. Have you done an Escape Room yet? Escape Games are the BEST! Like I said, there are a TON of Escape Rooms available on Groupon, so don’t buy one full price. What’s the point?! Enjoy one and let me know how it goes. If you have any clues that you’d like to share from one of your Escape Games adventures, leave it in the comments below. And if you have any Escape Room Tips, leave them in the comments. Would love to hear!